It's official - we’re getting to the pointy end of the Word Mania USA Practice Round! With just two weeks to go until Word Mania USA officially begins, students around the United States are sharpening their spelling skills for the chance to win a share in $10,000 in prizes for their school. The Word Mania USA Leaderboards of course! The Word Mania USA Leaderboards show the top 50 scores for each grade level in the United States. The leaderboard scores are calculated by taking the sum of the top 50 scores for each grade, with no more than 10 scores taken per student. This ensures smaller schools won’t be at a disadvantage, and all the schools competing come into Word Mania USA on a level playing field. At the moment the leaderboards are showcasing the top scores for the Practice Round. Once the Competition Round officially starts the leaderboards will be reset for the week of competition. So how do you make sure your school is at the top of the leaderboard? Make sure your student details are up to date before Round 1 kicks off. Simply access your teacher dashboard and click on this ‘My Students’ tab. Here you will be able to update student details and add additional students. To use Word Mania a student’s desktop browser or mobile devices must adhere to a number of requirements. For a full rundown, click here. Anything you’re still confused about? 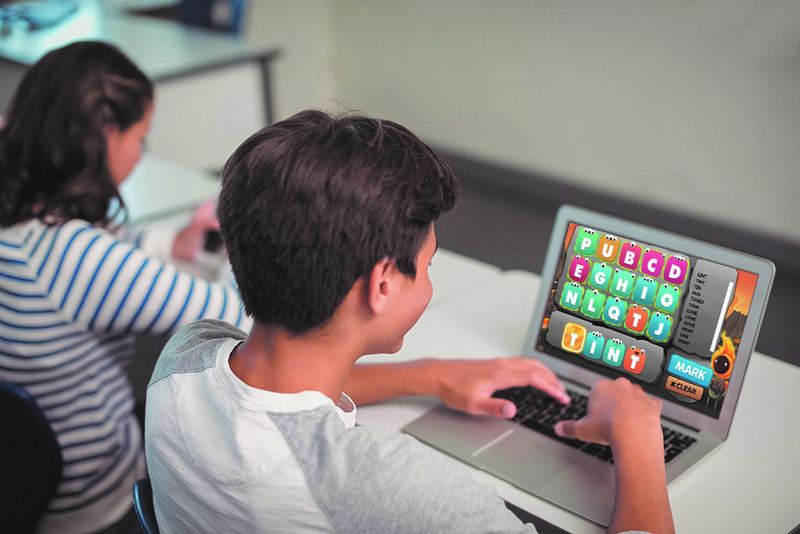 LiteracyPlanet has provided a range of how-to videos designed to make life easier and answer the question of any teacher participating in Word Mania USA. You can find them here. So there you have it! Head to Word Mania USA to see how your school is performing and keep practicing before the competition round officially begins!